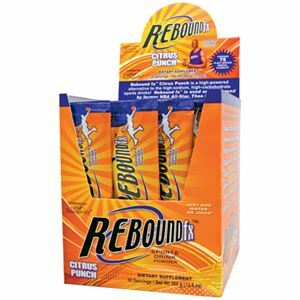 These delicious, grape-flavored energy drink stick packs feature Regeneryll™ Brand SOD (Superoxide Dismutase plus Bioperine™) to help your body combat free radicals and other environmental stresses. 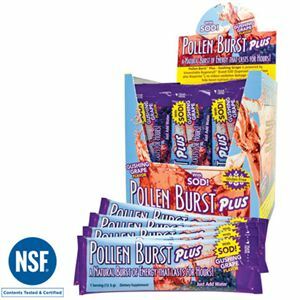 Stay on-the-go with Pollen Burst™ Plus – Gushing Grape Flavor. 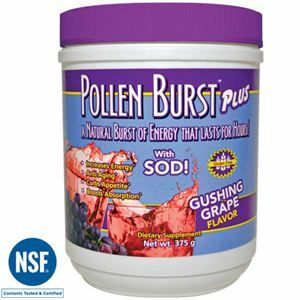 This all-natural energy drink features Regeneryll™ Brand SOD plus absorption-boosting Bioperine™ to help your body combat free radicals and reduce oxidative damage and stress caused by aging. 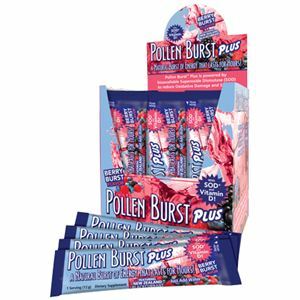 Simply pour your stick pack in water or juice and enjoy a boost of all-natural energy! Gluten-Free. Vitamin A (as beta-carotene), Vitamin D3 (as cholecalciferol), Thiamin (as thiamine HCl), Vitamin B6 (as pyridoxine HCl), Niacin (as niacinamide), Vitamin B12 (as methylcobalamin), Pantothenic Acid (as calcium pantothenate), Glucuronolactone, Caffeine (natural), Inositol, Proprietary Blend , (Regeneryll™ Brand SOD [Superoxide Dismutase plus absorption-boosting Bioperine™ piper nigrum fruit extract], Green Tea extract (50% [54 mg] EGCG), Pollen extract), Fructose, citric acid, natural flavors, stevia, maltodextrin and natural colors.